Containment on a fire burning in the Eldorado National Forest has improved to 65 percent, according to an incident update. Tactical burning operations helped bring the Table Fire to containment lines Sunday. The fire is at 465 acres. Crews will continue to mop up the perimeter of the fire and begin rehab of fire lines. Smoke may remain visible today as firefighting operations continue. Firefighting efforts have been underway since early Monday morning when winds activated the Table Fire in a remote part of the Eldorado National Forest about 3 miles northeast of Ice House Reservoir. 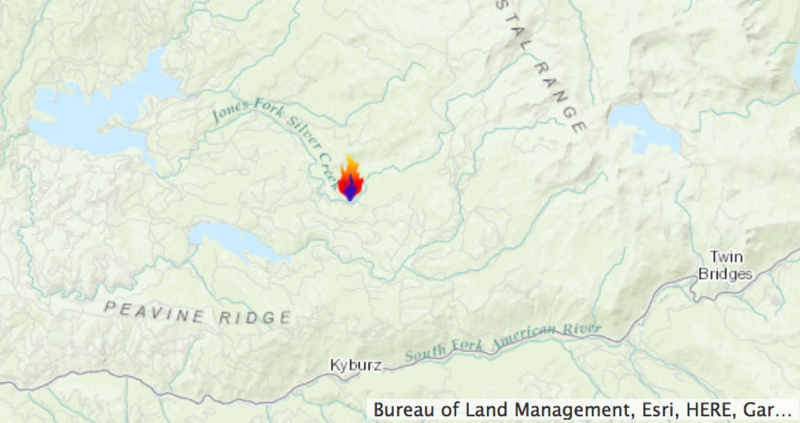 The lightning-caused fire was first reported Sept. 8; however, it remained small — about an acre — and inactive for more than a month. During that time fire officials monitored the area and took indirect preventative measures. Last week crews completed the northern containment line and prepared indirect lines on the east, west and south sides of the fire. They started tactical burning operations on the northeast corner to remove fuel between the prepared line and the fire’s edge. A total of 157 personnel are fighting the fire.